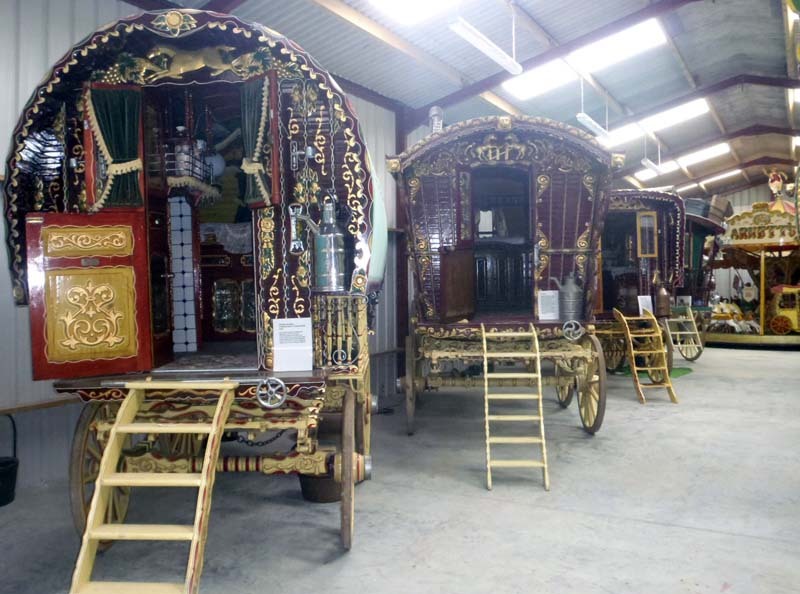 … and speaking of colorful vehicles, here are some of Jill’s photos of Jim Lawes & Harriet Crowther’s stunning collection of Romani caravans. 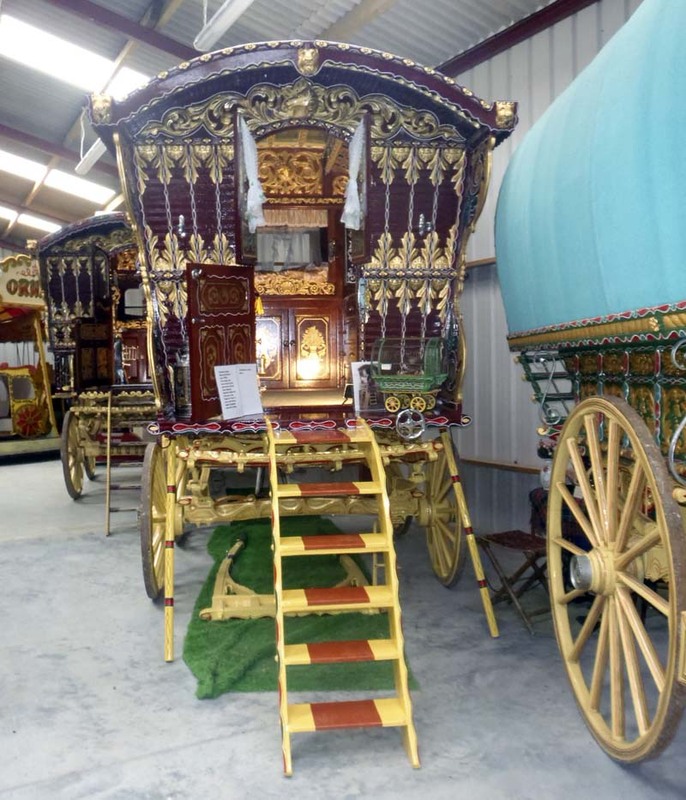 If you have a copy of the October 2012 of The Carriage Journal, you can read (if you haven’t already!) 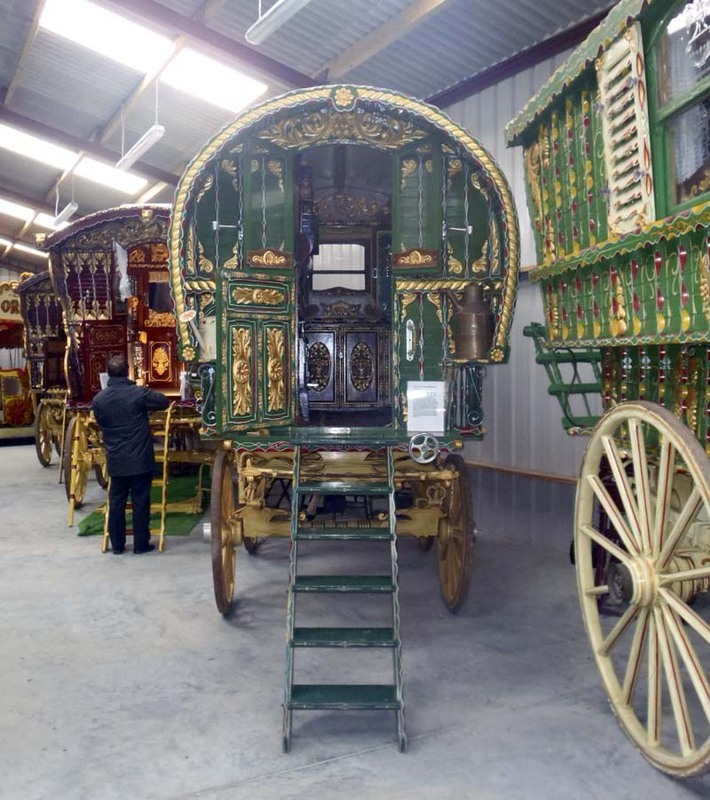 Ken Wheeling’s article on this same collection. 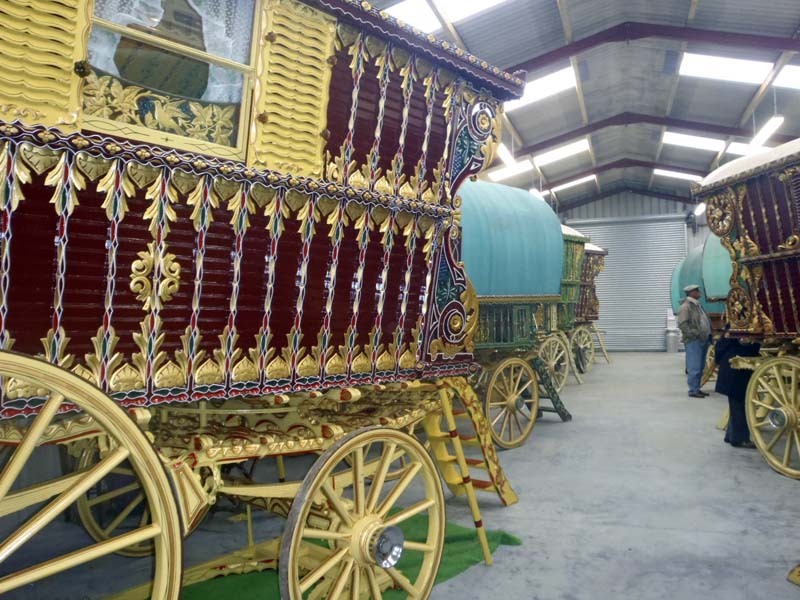 Tomorrow, we’ll see a few close-up shots that Jill took of individual caravans.